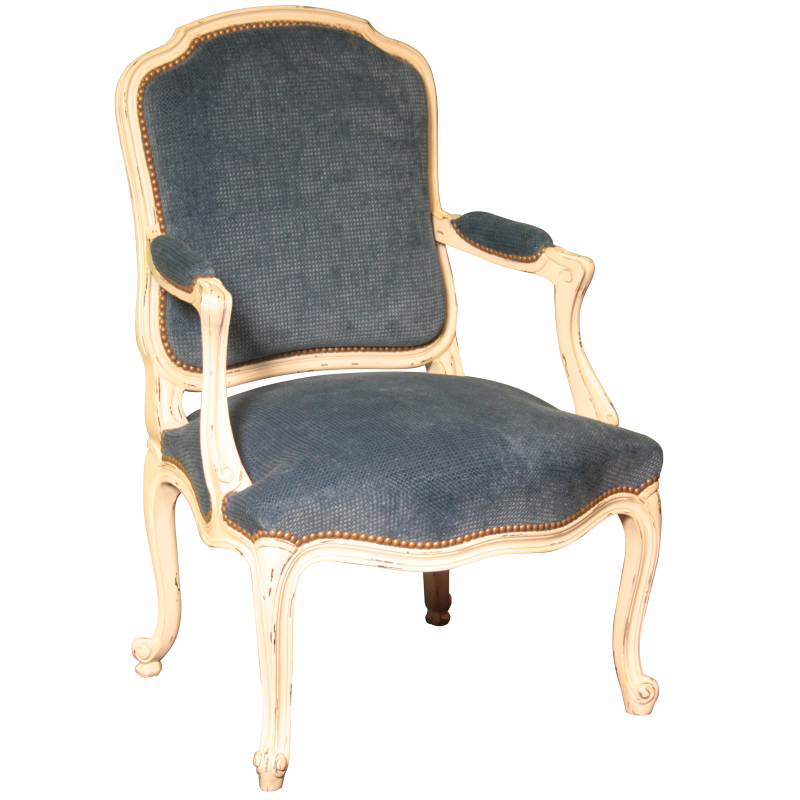 Comfortable and gracious Louis XV armchair. 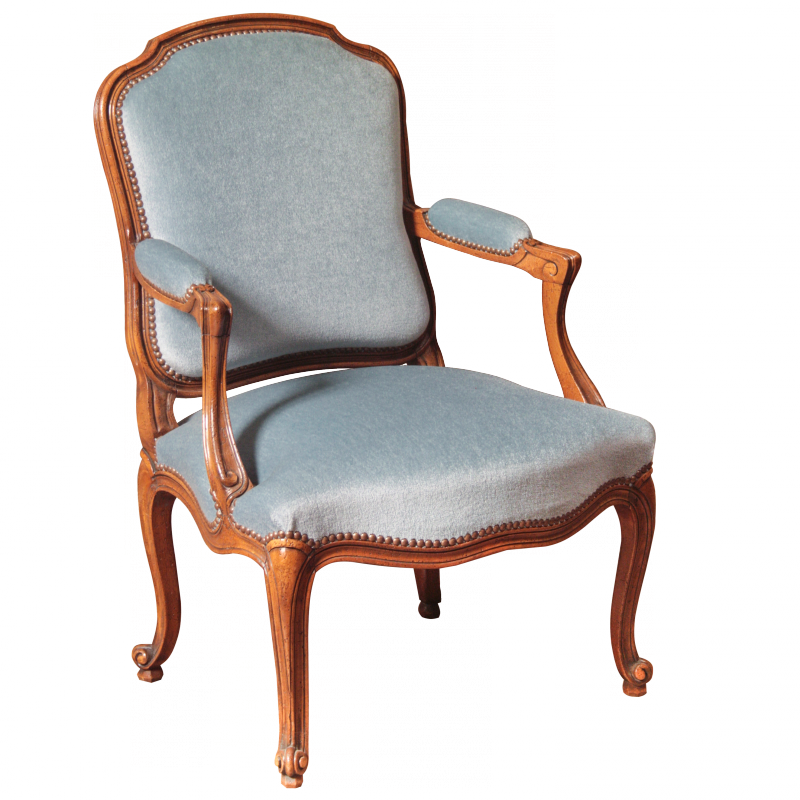 Classical cabriole legs and flowing curves throughout the chair back and armrests. 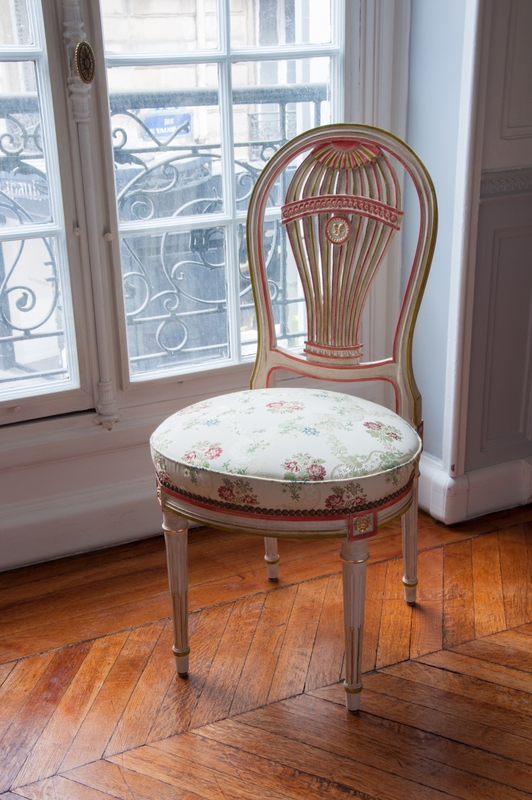 Trational upholstered seat, back and armrests. Fabrication in beech.